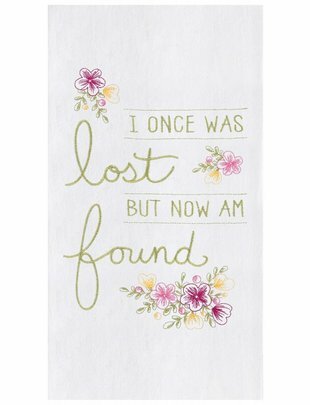 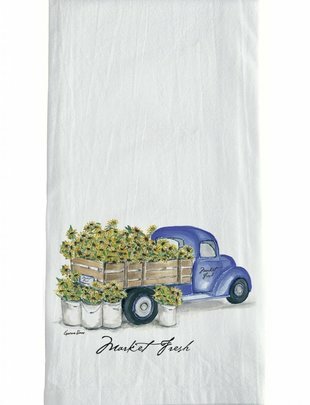 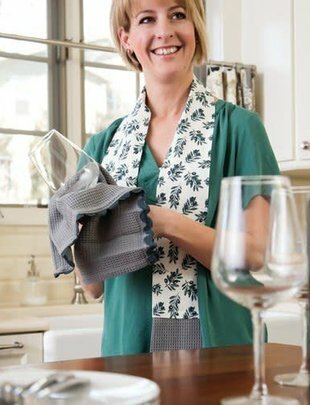 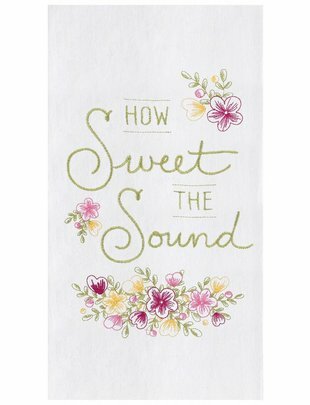 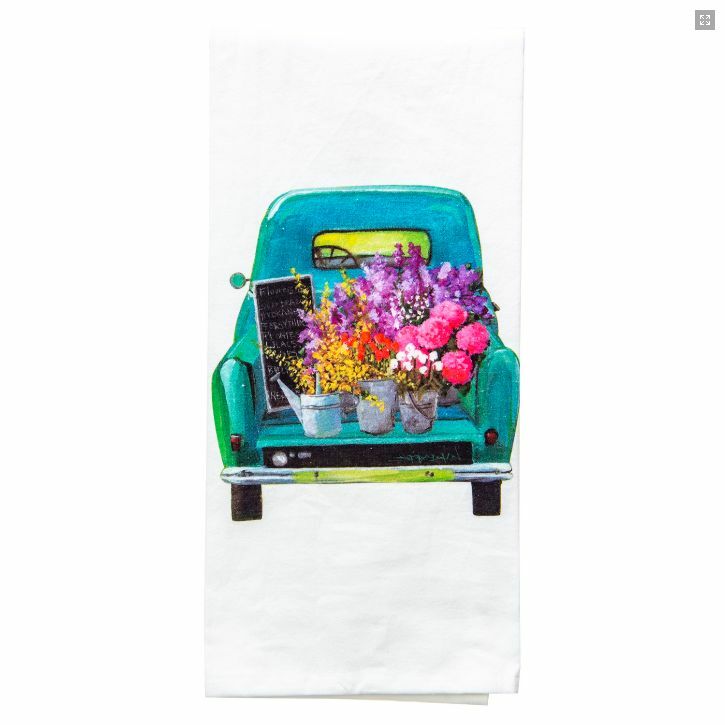 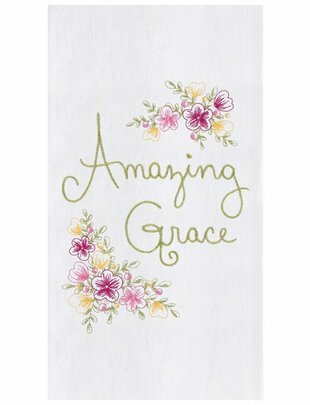 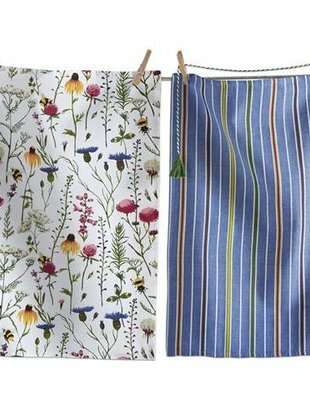 Give the kitchen or powder room and update with the addition of this artistic towel. 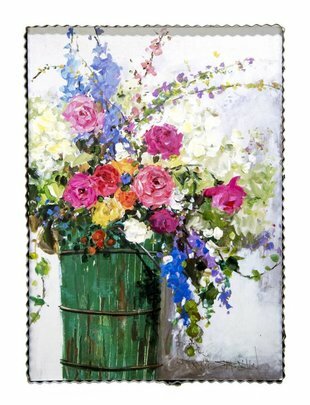 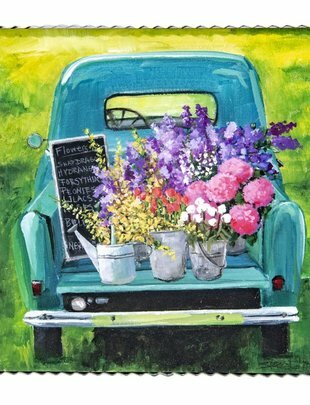 The delightful painterly scenes really come alive upon the crisp white cotton towels, for a look everyone will love. 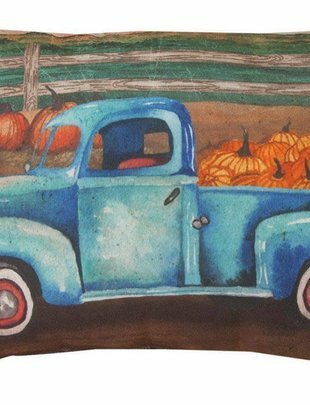 Design by Texas-based artist Roxanne Spradlin.